The United States is currently suffering from a gun murder epidemic that kills and maims thousands of Americans every year. This epidemic is unique in the developed world, both in the number killed and the number of guns flooding the country. Efforts to reduce gun murder rates have been stymied by a well-funded gun lobby (the NRA) and a motivated contingent of extreme, misguided and paranoid gun fetishists. These people fight against every effort to enact gun control (and to kill gun-restricting laws already on the books) and would have people believe that guns have no relationship to murder rates. Unfortunately, these extremists have been very successful in shredding gun control in many areas, resulting in immense harm to many Americans—however, the small silver lining of this situation is that there is now enough statistical data available to scholars to conclusively debunk the NRA’s talking points. In 2007, the Missouri legislature—under lobbying by the National Rifle Association—repealed the law requiring that all gun buyers verify that they have a valid permit to carry a concealed weapon before they make their purchase. Additionally, this repeal eliminated the requirement that individual sellers of a firearm have a background check done on the person who they are selling a gun to. The repeal of this permit requirement went almost completely under the radar, as no politicians in Missouri dared to take on the NRA by making it an issue—unfortunately, this lack of pushback has helped kill over 300 Missouri residents and continues to threaten hundreds more in the coming years. According to a recent study by the Johns Hopkins Center for Gun Policy and Research, the repeal of the Missouri “permit to purchase” firearms law has led to between 55 and 63 more murders each year. When making this calculation, the study’s authors controlled for all relevant factors (including policing changes, unemployment/poverty, and incarceration rates) and also utilized surrounding states as controls. Put simply, this study proves true what gun control advocates have been saying for decades: lax gun control laws lead to more murders. 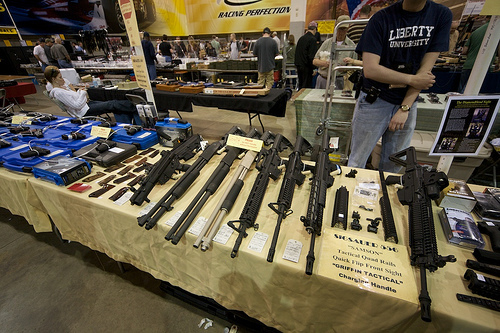 The consequences of repealing the Missouri permit for purchase law have ramifications for national gun policy that go well-beyond the state’s boundaries; only 12 states have such laws still on the books (MA, CA, CN, HI, IO, IL, MD, MI, NJ, NY, NC, and RI), thus the increase in murder that Missouri has experienced recently is just a micro-look at a macro problem. When the conclusions of the Missouri study are extrapolated across the 37 other states that lack a permit for purchase law, the death tolls become extremely significant—the 60 more murders a year in Missouri (a state with about 1.9% of the total American population) extrapolates upwards to hundreds, if not thousands of Americans needlessly losing their lives every year. At the end of the day, this study confirms the assertions of many pro-gun control activists and disproves the propaganda of the NRA. That said, it doesn’t speak directly at the legal or democratic aspects of the gun debate (if the public is willing to accept these murders, then there is no overriding constitutional protection that prevents them from weakening gun laws). When debating gun control, advocates of more control must stress that the statistics prove that lax gun controls lead to more murders—this re-aligns the debate from the murky realm of personal vs. collective liberty to a simple debate between those who think that making it more convenient to buy guns is worth the cost of these addition murders and those who do not. I have no doubt that many gun extremists are perfectly willing to sacrifice hundreds of innocent Americans a year so that they will be allowed to keep their guns (in anticipation of the “imminent” collapse of civilization, landing of the black helicopters, alien abduction, marauding band of Mexican cartel soldiers, etc. ), but that is likely not a belief shared by large portions of the population. Once people realize that their family member may be one of those unlucky sacrifices to easy gun access, they will likely reject the gun extremists and call for sane gun laws. If enough people reach this realization, even the money and motivation of the NRA will fail to hold back the tide of public opinion and new gun controls will be passed. Here’s a video that I think you may find interesting. Her desire to hunt hogs and belief that she needs an AR-15 to defend her home aside, lets just hope that she isn’t one of the thousands of women who are eight times more likely to get killed because of domestic violence with a gun in the house, and that her children aren’t any of the hundreds who end up killing themselves or others with unsecured guns every year. Her story may be convincing to you, but to a rational person, she is simply an accident waiting to happen–she may FEEL safer with her guns, but the reality is that statistics show that she and her children are many times more likely to be killed with those guns in the house than if they didn’t have them. P.S. If she is worried about shooting through walls (which is a very valid concern), then she could simply use a pistol loaded with glazer safety rounds, which were designed for air marshals. Some people at Harvard disagree with you. Some people at the Center For Disease Control also appear to disagree with you. The Harvard study uses aggregate data across nations to draw comparisons, making it virtually impossible to control for other causal factors, thus it is a far less accurate look at this issue. Put simply, the Johns Hopkins study is far more specific (focusing entirely on background checks) and shows things that the Harvard study cannot (this is why people are talking about it. As to the CDC study, they simply said that evidence wasn’t conclusive on the effect of certain gun control laws–the Johns Hopkins study is the evidence that the CDC lacked when they wrote this report a couple years ago. Alright, let’s look at the full data, shall we? Turn your attention to homicides. The Missouri overall homicide rate is now virtually the same as it was in 2007, again while gun-related murders may have increased, the overall rate remained pretty much the same. 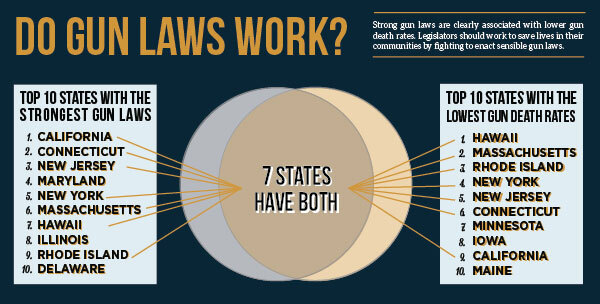 Again this debunks more guns = more overall murders. It even debunks more guns = more overall violent crime because the violent crime rate continued declining during that period. Now why don’t you mention Massachusetts which saw a massive increase in gun-related murders and gun related violent crime after implementing its gun control policies in 1998, Josh? Is it the neighboring states? Prior to 1998, gun homicides were declining in Massachusetts, the trend reversed. States like New Hampshire and Vermont continued the trend of declining gun homicides while it reversed in Massachusetts. Your talking points are lame and this blog is pretty lame. Thank you for you prompt reply. However, the video I posted was primarily intended for mommyx4boys to read. I should have been more specific. It is evident that you did view it, so thanks again. Your statements about the woman in the video being “eight times more likely to get killed because of domestic violence” sounds reminiscent of the long discredited Kellerman study. I won’t bother going into detail about how many other ways there are to be injured or killed at home by accidents, that would take too much time. To put it simply, firearms are not a factor in as many accidents as you would believe. People who choose to own firearms for protection feel safer because they ARE safer as long as they are responsible. Any person who truly is rational would not support any more gun control. Whether or not you choose to believe Harvard (established in 1636) or Johns Hopkins (not established until 240 YEARS later in 1876) is entirely up to you. The government puts its faith in the CDC. I apologize for the lack of focus in this comment, but there are a few different things on this blog relating to gun control I’d like to respectfully address from a dissenting opinion. Gun control supporters irrationally demonize AR-15s when they are used in less than 1 percent of gun crimes. A USA today study found that so-called “Assault weapon” are used in only a fraction of mass killings (I believe less than one percent) AR-15s work no differently than any other semi-automatic weapon, that is not a matter of debate. Nor are semi-automatic rifles more dangerous than semi-automatic handguns which your own gun control proposals say should be legal (other than power, rendered redundant by things like the 50. On the contrary, rifles of any kind are actually less dangerous because they are harder to aim and conceal and their bullets can have less dangerous impact than pistol rounds (I can’t remember the exact ballistics explanation for this, but I believe it may be that they are more likely to “bounce” or pass through the body than stay within it and cause further damage) Assuming gun control works and the National Academy of Sciences, Center for Disease Control and the DOJ are wrong in their conclusions that it can’t be shown to, why ban the most rarely used and least criminally effective weapons on selectively arbitrary grounds? No serious gun violence expert believes a ban on AR-15s and other scary looking assault weapons will make anybody safer, its just talking point that can easily be fed to the gun-ignorant masses, but I know your not one of them, so why do you keep reciting it? The no-nonsense opinion neutral fact is that the effect of gun control as shown by studies is at best inconclusive and contradictory (you can find this yourself by bypassing opinion sites and going directly the primary sources) and gun control case studies seem relative to the country. For example, England is often cited as a success story but they never had high gun violence levels even before the ban, and the perfect mass murder weapons (handguns) are still legal in Australia without mental health screening which seems to work against the argument that its a gun ban success story. As for your piece about gun free zones, you might have a point if there were armed cops outside of schools, but simply putting a sign up that says “no guns allowed” with no means of enforcement simply advertises the site as a soft target. Imagine if airports just put up signs that said “no bombs on the plane” and had no security (and I’m not talking about the ridiculous 4th Amendment shredding TSA genital groping molestation type of security, but reasonable common sense features like luggage screening) I also read thorough your policy proposals for gun control and found some legal issues with it. For example, how does the federal government have the right to ban guns at sporting events, isn’t that a right of state jurisdiction, and furthermore the decision of sporting event providers. Shouldn’t they have the right to allow them as customers are not forced to frequent them? (for example Starbucks implicitly allows guns by refusing to ban them from its stores, but you don’t have to go Starbucks if you don’t like it if you don’t want to take the “risk”) It can’t be said that lax gun laws are the causation rather than the correlation which is in and of itself a fallacy. If that were true Vermont rather than Chicago would be the gun crime capitol of the US.